There are a lot of things we love about Summer in Texas. To celebrate national blueberry month, we recently took a trip to The Sanctuary Blueberry Farm to pick some sweet, fresh, organic, local blueberries. We all know they are delicous, but as we will see, blueberries have some incredible health benefits! 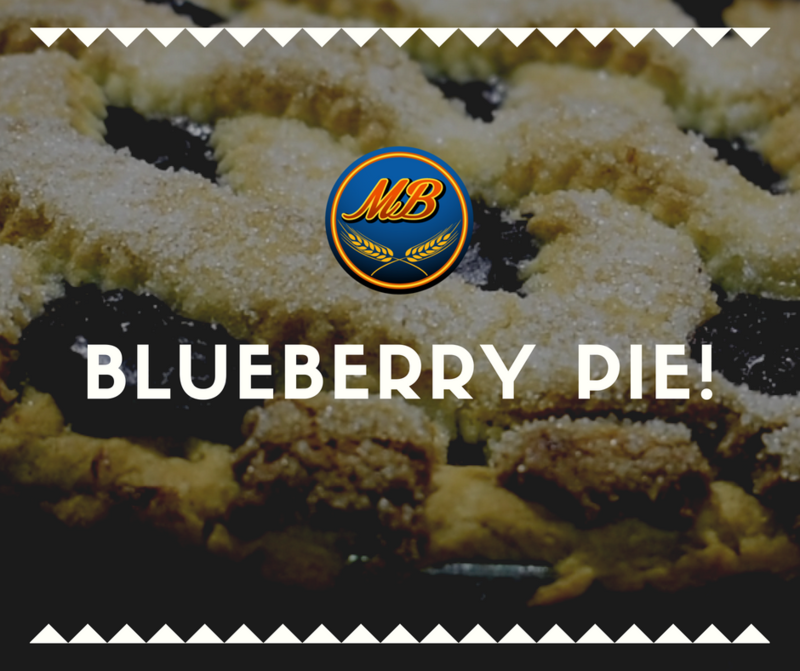 Here’s a list of seven ways that blueberries benefit your health and a few delicious seasonal treats from Montgomery Bakehouse that include them. 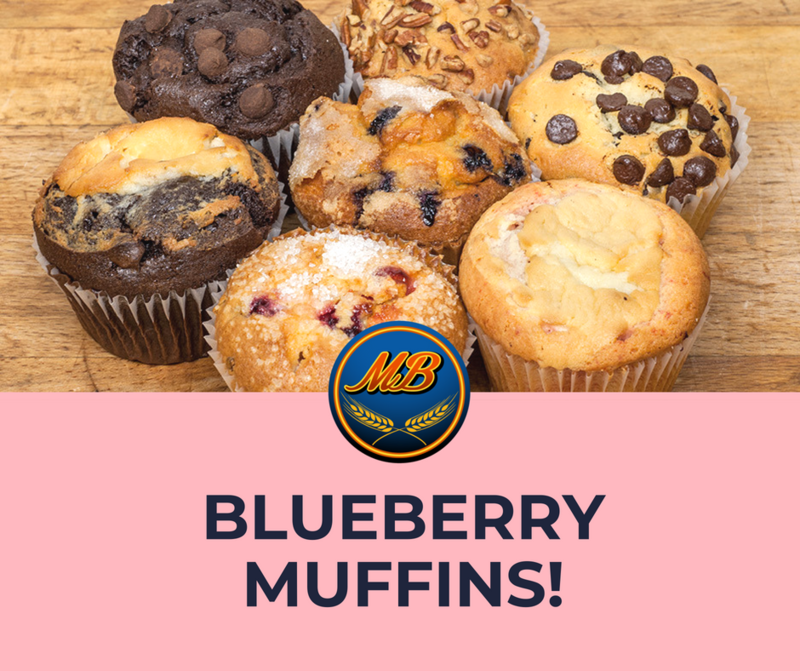 Just one cup of blueberries provides 24% of a person’s recommended daily allowance of vitamin C, which improves immune system health! Blueberries contain iron, phosphorus, calcium, magnesium, manganese, zinc, and vitamin K. All of these are a component of bone structure. Iron and zinc primarily maintain the strength and elasticity of bones and joints. Lower intakes of Vitamin K are associated with higher risk of bone fracture. Diets low in potassium, calcium, and magnesium are shown to be correlated with high blood pressure. Blueberries contain potassium, calcium, and magnesium, which improves blood pressure levels. 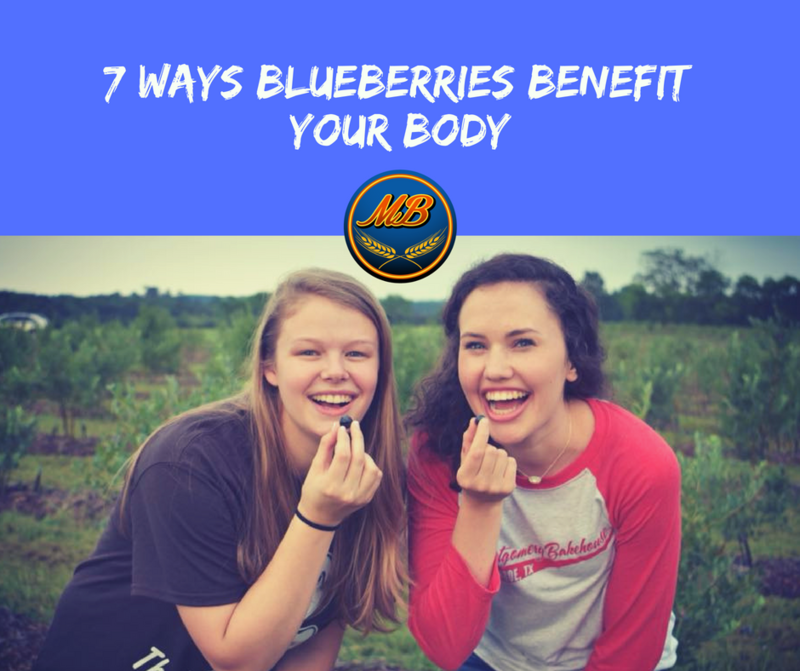 People with type 2 diabetes have found that consuming more blueberries and other high fiber foods have improved blood sugar, lipid, and insulin levels. Furthermore, a study found that consuming three servings per week of blueberries or raisins, reduced the risk of type 2 diabetes by 7%. Fiber content in blueberries reduces the total amount of cholesterol in the blood, which decreases the likelihood of heart disease. The potassium, folate, vitamin C, vitamin B6, and phytonutrient content in blueberries also improves heart health. Vitamin B6 and folate prevent the accumulation of homocysteine in the body, which can damage blood vessels and lead to heart problems. Vitamin C, vitamin A, and the phytonutrients found in blueberries are antioxidants that help cells protect against damage from disease-linked cells. Studies have found that antioxidants inhibit tumor growth, decrease inflammation in the body, and significantly decrease the rate at which cancer attacks the cells. Blueberries also contain folate, which aids in DNA synthesis and repair, which prevents the formation of cancer cells due to mutations in DNA. Blueberries contain dietary fiber, which is an important factor in weight loss and weight management. High fiber foods increase the feeling of being full and reduce appetite, which reduces a person’s overall caloric intake. So what do you think?! 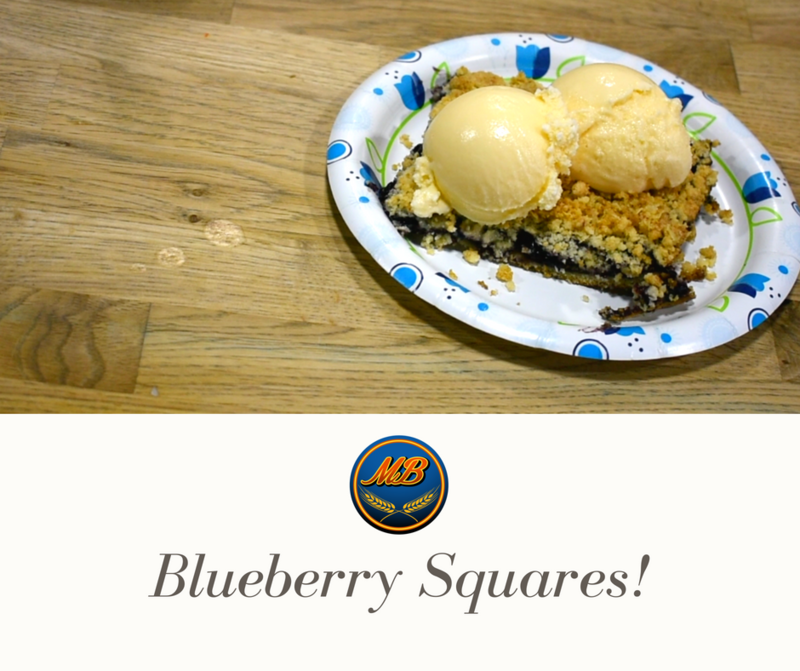 Eating blueberries is a win-win, right? Delicious AND Nutritious!